Three years ago I posted this album review of Andrew McMahon’s last release, People and Things. It’s amazing how time flies and things change. Since then, I graduated from UGA, moved to North Carolina, and then just in the past few months moved to Atlanta for a new job in client-side marketing research. For Andrew McMahon, a lot has changed since his last album too. Jack’s Mannequin – the band that’s responsible for the albums Everything in Transit, The Glass Passenger, and People and Things – came to an end. This would have been sad news for me, however after their outstanding first album Everything In Transit the subsequent albums didn’t live up to the high bar it set. The Glass Passenger was very good, but clearly a step down, and then the band’s final album, People and Things, continued the downward trend and was very average. I gave it a 6.5 in the previously linked review. Andrew McMahon also had his first child which the lead single – “Cecilia and the Satellite” – is about. The change to a solo career coincides nicely with the theme change from his personal battle and recovery from leukemia to the theme of new parenthood. Hopefully, this album will mark a move in the right direction back to the great albums of Something Corporate and his best with Jack’s Mannequin, Everything in Transit. Below, each song is reviewed individually with the titles linked to a YouTube video where you can hear the song for yourself. At the bottom, the overall album is reviewed. Enjoy! 1. Canyon Moon: “Canyon Moon” is the perfect upbeat track to start the album. The piano intro pulls you in and the chorus wins you over. It’s a fictitious story of a girl escaping LA, but it ties back to his own love/hate relationship with the city. “Cecilia and the Satellite” is perfect because of the passion intertwined in each verse. It was written while McMahon’s wife was pregnant with his first child, Cecilia, and he “wanted to have a snapshot of who I was in the years leading up to meeting her.” The lyrics “Of all the things my hands have held the best by far is you” make me imagine him holding his newborn child for the first time and realizing how much he loves her. 5. See Her On the Weekend: After the first four tracks get the album off to such a great start, “See Her On the Weekend” is a reality check that we’re not going to get another Everything In Transit. The only interesting part of this slow song is his delivery of the pre-chorus “The message box is full.” Unfortunately, some of the lyrics are just silly and repetitive. 8. Halls: “Halls” has the best intro on the album with very familiar and “epic” piano sound that reoccurs after each passionately delivered chorus. The lyrics are engaging as he sings about how he abandoned a past love and can’t stop thinking about it (which is interesting in that large portions of the album are about his new baby daughter). 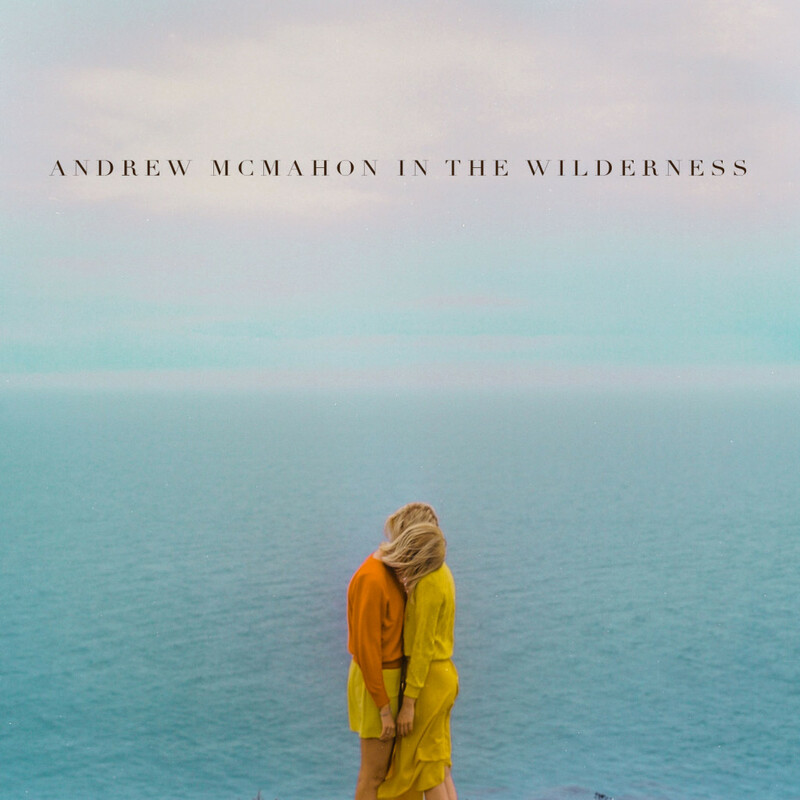 Album Score – Andrew McMahon In The Wilderness: McMahon may never match the unrealistic expectations set by his 2005 Magnum Opus Everything In Transit, but for a 10 song album to deliver five very good songs is impressive. We knew going in that the single “Cecilia and the Satellite” was very good, but “Canyon Moon,” “High Dive,” and “All Our Lives” are also very strong tracks. “Halls” catches us by surprise in the latter half of the album and may be the best song on the album. Andrew McMahon will be in Atlanta on November 21 at Center Stage. Please leave a comment or message me on Twitter if you’ll be going. Apologies for the sparsity of posts. I’ve been focused on my move to Atlanta, the new job, and writing for the SB Nation Clemson site. Hopefully more posts to come here as well as at SB Nation. You can see those posts here. Please leave your thoughts about this album in the comments below.